The story of a reluctant CIA case officer, told with brio and dark humor by the ex-spy herself. 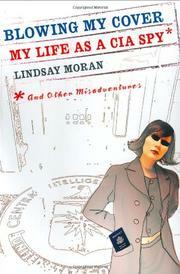 Since she knew she was a pretty good liar, Moran decided to join the CIA. She was also a serious Type-A overachiever, and that fit the profile as well. Helped by bona fides including Harvard, a Fulbright fellowship and a year abroad in Bulgaria, she aced the interview process, but immediately began to suffer misgivings. This would not be a woman-friendly world, she realized; her foreign-born boyfriend would have to be jettisoned, and the agency was bound to be a place rife with petty bureaucratic aggravations. Though Moran never mentions the agency’s unsavory reputation, she does admit to being troubled “about the morality of harrying down-on-their-luck foreigners into spying for the United States”—which is pretty much her basic job description. Case officers are not exactly spies; they recruit spies. The memoir’s first half chronicles Moran’s months in the agency’s training program, a stress-filled series of mental and physical tests (including what amounts to torture) that drive home the all-encompassing insularity of life in the CIA, with its culture of paranoia. The author brings a measure of baleful comedy to the proceedings until the narrative hits her posting in Macedonia, where her work becomes increasingly dismal, weighed down by banal paperwork, loneliness, careworn espionage targets and operatives on the scam. Her surroundings also leave Moran appalled and depressed, particularly in Kosovo: “a polluted swath of post-communist wasteland.” Melancholy hangs over the text like a long stretch of bad weather, and more than one reader will be surprised at how satisfying it is to spend time in this greasy fog, as Moran dissects a seemingly useless, spendthrift and desperate institution locked into the Cold War past. A streetwise study in disillusionment.